Have you ever thought about running away from everything and joining the Circus? If the answer is yes, then I might have an excellent idea for you! First, let’s start with a few questions. Do you feel like there isn’t enough balance in your life? Are you trying to live as healthy as possible? Is yoga the one thing that helps you find sanity in an otherwise insane world? And do you like to dance all night? Yes, yes, yes and definitely yes? Great! This means that you are the perfect candidate for Soul Circus! 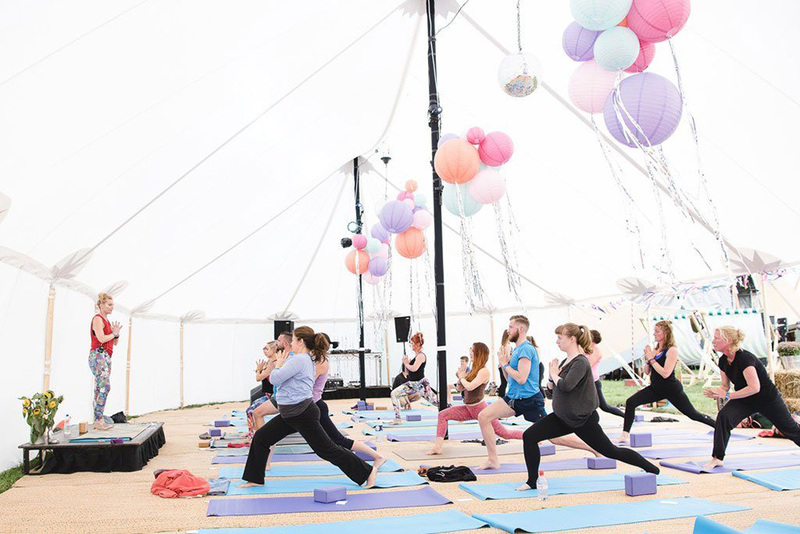 The three words that best describe the Soul Circus Festival are yoga, food and music. So, if you are in constant search for balance, then this is the place where you are supposed to be. Soul Circus is the definition of balance. 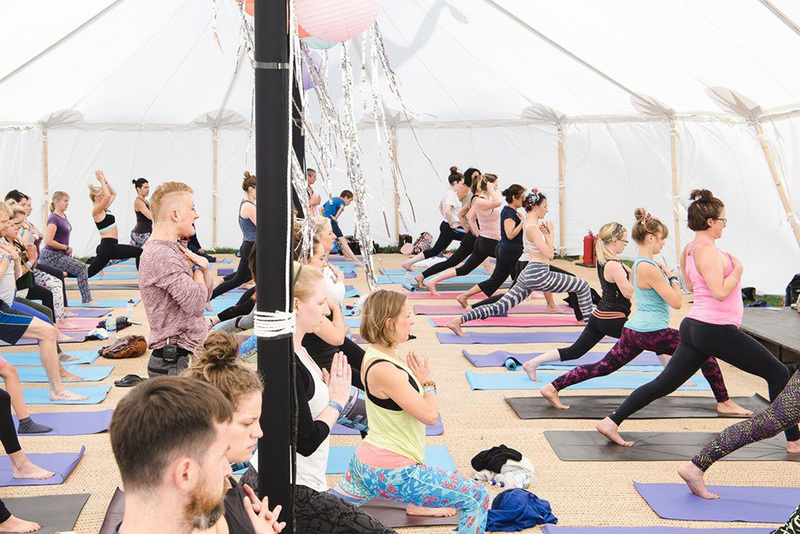 Throughout the festival, you’ll be able to try hot yoga, enjoy in different spa treatments or drink healthy and delicious servings of juice. During the nights, you can drink local brews on the counter, eat locally sourced food at the supper clubs or dance to uplifting DJ sets. Soul Circus has something for everyone and for every BODY! All you have to do is pack your special yoga mat, one or two blankets for the gentle yin classes in the evening, a re-usable bottle (the festival is 100% disposable plastic bottles free) and of course, several sport clothes to change throughout the day because some of the classes can be really intense. 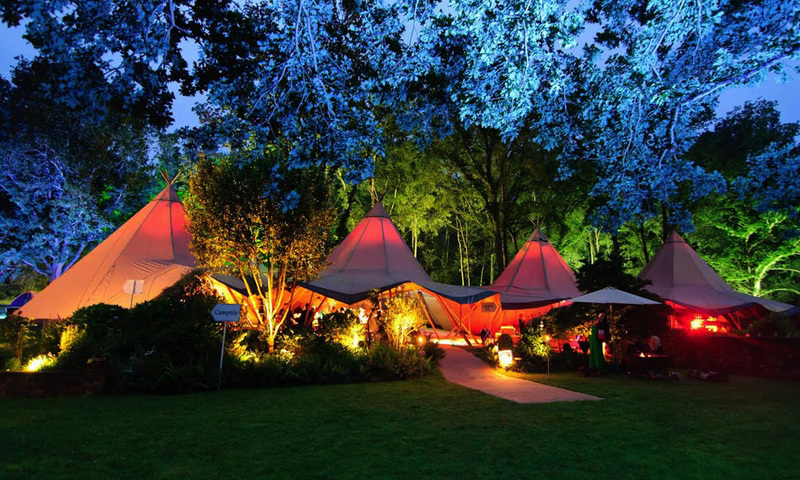 The location of the Soul Circus Festival is at Elmore, The Cotswolds in the United Kingdom. The gates will open on Thursday the 16th at 5pm, and close on Sunday at 10pm. Please note that the main gate will be locked between 11pm and 6am so access into the festival site during these hours will be limited and has to be arranged directly with SC and security on-site. Full weekend ticket is £199 for adults, £75 for teenagers and free for children under the age of 15. If you want to visit the festival for only one day, then the price for Friday and Sunday is £79 for adults, £49 for teenagers and free for children. The price for Saturday is £99 for adults, £49 for teenagers and again, free for children. Camping on site is not included in the price. 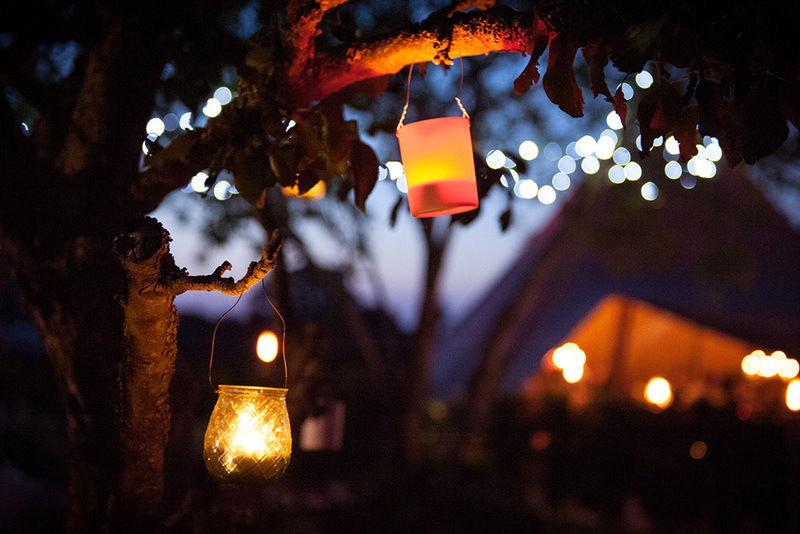 All tents include access to hot showers, phone charging and 24/7 customer service. Their price is £150, £250 and £400 for 2 person, 4 person and 6 person tents respectively. There’s also an available transfer from London Victoria. It’s a return coach transfer that departs 5.30am and returns at 6pm. The price is £62. The Soul Circus Festival is crowded with teachers who will give their best to awake your body and calm your mind. With their help, you’ll be able to find and recognize balance, and learn some of the most important methods for helping yourself during stressful times. For example, Benjamin Sears will teach you how to use your own proportions to chart a course through every posture on a journey from effort to grace. He will also teach you how to use your edges to unlock your centre, make clean physical folds, and clear out the clutter! Christian Salton, voted as one of London’s top yoga teachers, will lead the fun ‘n’ funky Dynamic Yoga Class. Beginners or advanced, what you should expect is nothing less than a heart opening session for a whole body glow, packed with deep engaging twists and finally, detox. Ambra Vallo will showcase the Yogis teachings by the one and only yogi master, Sri Dharma Mittra. 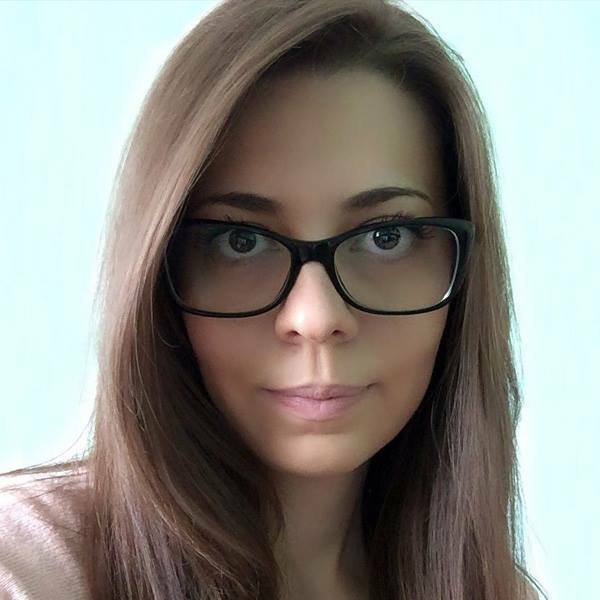 She will teach you a series of techniques, which include asana, pranayama, meditation, and chanting. Good Yoga Life, Marc Laws II, Acro Yoga Dance, Katarina Rayburn, Kathy Ran, Lolo Lam, Aimee Garcia Marshall, Wild Chocolate Club & Gong Space, Dan Peppiatt, Jonelle Lewis, Sandra Barnes, Durga Devi, London Acro Ladies, Charlie Granger, Jade Shaw, Voga, DoTerra Yoga Flow, YO-MU, Kate Lister, David Kamm, Michael Elay, Amanda Noga, Jay Foo, Kelly Brooks, Katrhyn McCuster, Emily Ypung, Nafia Harding, Andy Nathan, Secret Sunrise London and Evelyon Cribbin. Though you can visit the festival and tune into it right away, I always recommend coming prepared. This means a week of physical activities prior to arrival, and definitely a clean and balanced diet in order to get your body ready for flexible and agile stunts. I recommend that you try the free subscription over at Beachbody on Demand, where you can access a library of workouts ranging from mild and introductory, to challenging and intense. If you can press play and follow Tony Horton and Shaun T, the Soul Circus festival will definitely be a spectacle to enjoy. Is there anything more memorable then dancing all day and night with your friends at a festival? The Soul Circus has an amazing list of musicians that will keep you on your feet 24/7. Music is definitely one of the biggest mood-boosters out there, so get ready to feel rejuvenated and energized. The best part? This effect will definitely last till next year, when the festival will come back again to reenergize you once more. The music will vary from funk dance tunes to blissfully laid back melodies. There will be amazing headliners on the main stage and vibrant live acoustic performances in the buskers corners and the lovely indoor market. Also, you’ll have a chance to enjoy in intimate tunes while drinking your morning coffee at the Circus Kitchen Café! Definitely bring along a suitcase of comfortable clothes, and forget the high heels or tight shoes. Choose light and comfortable footwear since you’ll always be one step away from engaging physical activities. Last year, the legendary dance floor was on fire by DJ Maxi Jazz. This year, the party will be bigger and better than ever! DJ Yoda & National Presenter, the renowned DJ Nemone. Also present will be the amazing DJ Emily Rawson who will be playing super cool tracks, so prepare yourself for a party that you’ll never forget. 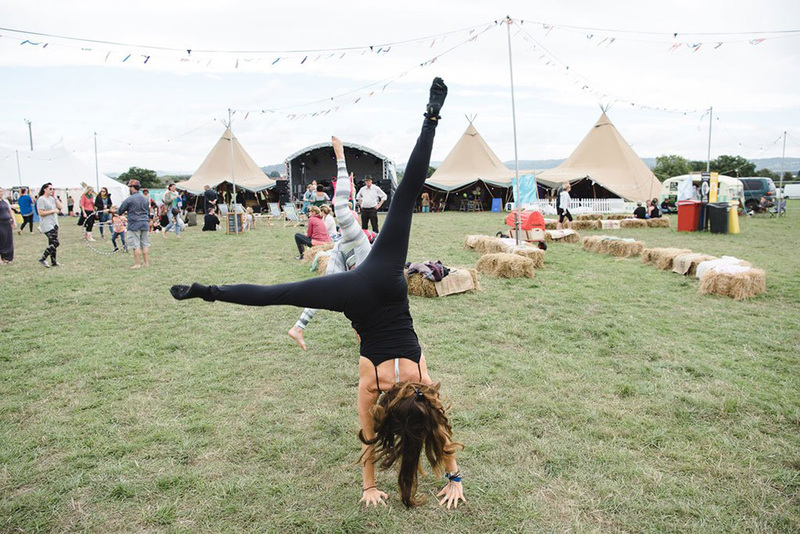 Without doubt, food is at the heart of Soul Circus festival! Cotswold Catering Group will lead the entire organization and will be taking on all operational requirements of the cafe from establishing a field kitchen and contracting staff to creating a sustainable and local supplier network. Cotswold Catering Group will also invite talented chefs from the local area, and some national special guests who will have lots of surprises for festival visitors. The menu will have vegetarian, vegan and raw food dishes, so it doesn’t matter if your diet is gluten free, cold pressed and grass fed as well as dairy free – there will be plenty options for delicious meals that will heighten your taste buds. And last but not least, they will host a farmers’ market and a farm shop where guests can shop artisan food and non-food products. Other food and drink brands that can be found on site are Abel & Cole, serving freshly made seasonal and organic juices, Pukka Herbs, offering a variety of organic teas for calming your mind and body, Oppo ice cream and Wyld Wood Cider, serving ice cold bottle of their signature Organic & Vegan Cider. Finally, The Cotswold Bar Company will create an unforgettable bar and lounge co-presented by Equinox fitness clubs of London, where you can enjoy in bear, gin and tonic, or a mocktail whilst listening to mellow vibes from the DJ set. Note from editor – the Equinox fitness clubs are some of the most advanced fitness studios in the world, so if you have an interest in contemporary methods of fitness, make sure not to miss this event. Covering some of the most interesting events on the fitness scene, Lifestyle Updated is definitely going to write about the Equinox brand. Have you seen some of their inspirational videos on YouTube? Make yourself a favour and check them right away! Have you ever been to the Soul Circus Festival? Or maybe you are planning to visit it this year? Feel free to share some of your experiences in the comment section below. This is one of those events to which people are usually paying lip service for years on end.